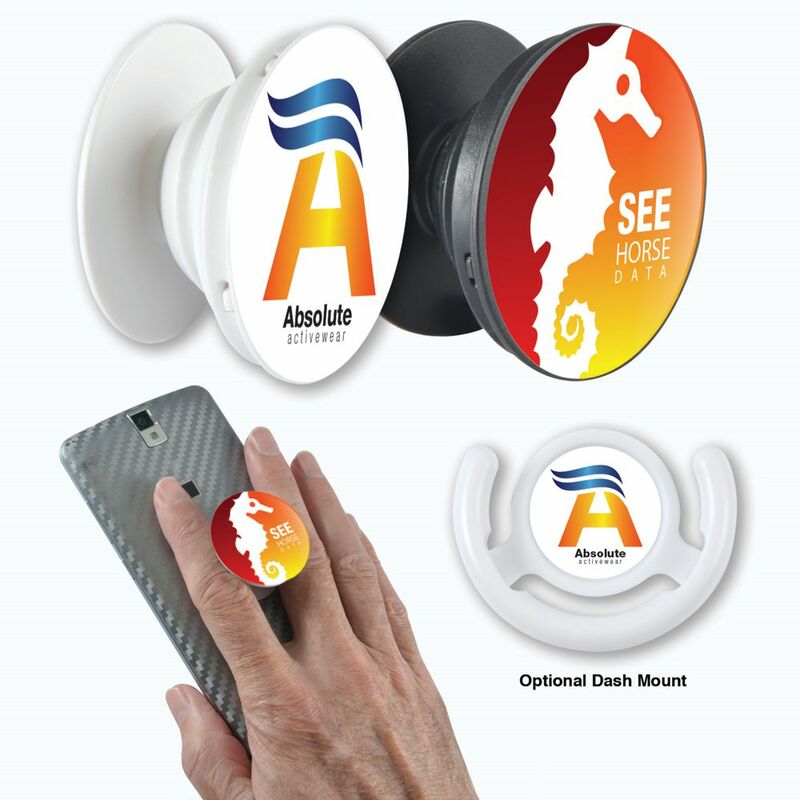 Cool new expanding pop grip attaches easily to the back of your phone or case. Pop up when you need a grip- a media stand- a cord holder or just something to play with. Collapses flat. Optional dash mount available. Pop Grip can be packed in cello bag with instructions or cello bag with backing card at extra cost. Full colour print on grip pricing.